After the musical neutron bomb that was “The B-52’s” hit in 1979, we didn’t have to wait too long for the all-important sophomore album. By the summer of 1980, “Wild Planet” was released and I can recall buying a copy the week of release. Such was the band’s cachet at the time! When we removed the disc from the green paw print inner sleeve and let the needle drop, we were treated to an album that was less shocking and paradigm shifting from their debut waxing, but made up for its lack of world building by sporting outrageously good songs that were by turns, more sophisticated than much of their debut album. When the fadeup for “Party Out Of Bounds” peaked we were dropped into a hilarious deconstruction of the point where a party could get too wild for its own good. The drums were beating out a motorik beat and the pulsing synth bass added flair to the band’s musical arsenal. The bongos were perfect and the wigged-out backing vocals by Kate Pierson were bright neon green in color. Ricky Wilson’s spy guitar was like a welcome friend. Speaking of Krautrock influence, it showed up again [where we least expected it] with the mesmerizing “Dirty Back Road.” This was a riveting song where the same harmonic information simply repeated for three and a half minutes. The steady beat varied not by a single fill and the song was built upon a recurring twangy guitar riff that one could build a life with. The minimal functionality of it was considerable. And yet, I never wanted it to end. I’d like to hear a DJ keep this one going all night. As a big fan of the tremendous Cindy Wilson, I was grateful to hear her get a spotlight on the powerful “Give Me Back My Man.” It sounded like they were using the same Roland drum tech that DEVO had used on their just a few months recent “Freedom Of Choice” album on the song “Mr. B’s Ballroom.” Ms. Wilson sounded like she meant it when she sang it here! If she ever put her mind to making a real country album it would devastate! 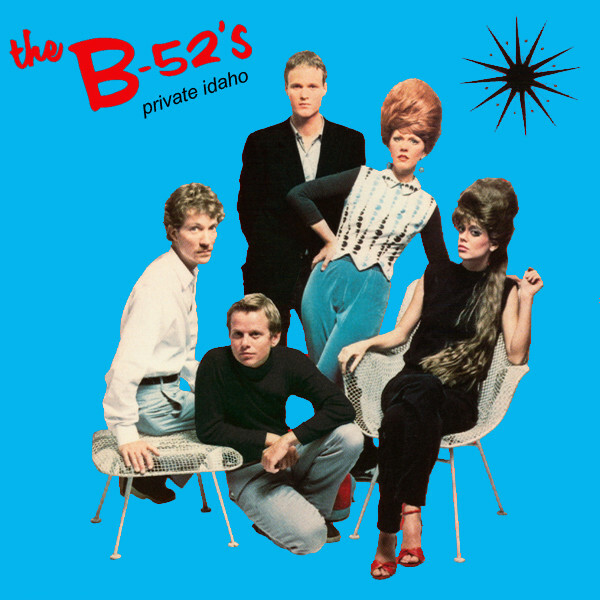 The lead single in America was the amazing “Private Idaho,” a song that focused the B-52’s aesthetic like a laser and still managed to sound as if it actually belonged on the radio in the bargain! Holding off the beat while the guitar riff set the rhythm for half a bar was a genius move of arrangement. That alone created a wave that sucked the listener into the song immediately. Then Kate Pierson’s freaky backing vocals reminded us that here was the band that was unafraid to venture into those Yoko Ono waters. The urgency of the song was unstoppable and the “outer limits” organ riff leading into the chorus was clearly the band at the top of their game. That this triumph managed to get to just #74 in the US Hot 100 was some kind of slap in the face. The meaty guitar riffs of “Devil In My Car” were matched with a deliciously absurd lyric that only this band could commit so strongly to. Fred Schneider’s declamatory delivery was letter perfect for such a kitsch-laden number. “Quiche Loraine” was a rare downbeat song of abandonment that, once again, opened with a solitary guitar hook luring the listener into the storyline. The screaming Farfisa of Kate Pierson was angular and delicious. The driving “Strobe Light” further endeared itself to me by the utter deadpan blasé comeback the women sang in unison to Fred Schneider’s too-cool-for-school come ons. The bass here was kinetic and the sexual metaphor of “pineapple” was utterly bonkers. The album closed with a call out to the sci-fi hi-fi of “Planet Claire” from the first album with the chugging instro “53 Miles West of Venus.” A tight 35 minutes with no filler! Yeah! The co-production by Rhett Davies marked this as an extreme outlier to nowhere in his CV which is shot through with either Roxy Music related productions or things that wished they were Roxy Music. How did he get the job? Maybe his early Eno productions held sway with the band. Speaking of whom, they wisely held back some of the songs they had in their notebooks at the time of the first album for album number two. Why doesn’t every band do this? They were thinking ahead. As a consequence, the first two albums were inextricably linked in the terms of the songwriting quality and freshness of their vision. The band would later fall from my favor with their next move, but that’s another story. This entry was posted in Record Review and tagged 1980, B-52's, Wild Planet. Bookmark the permalink. 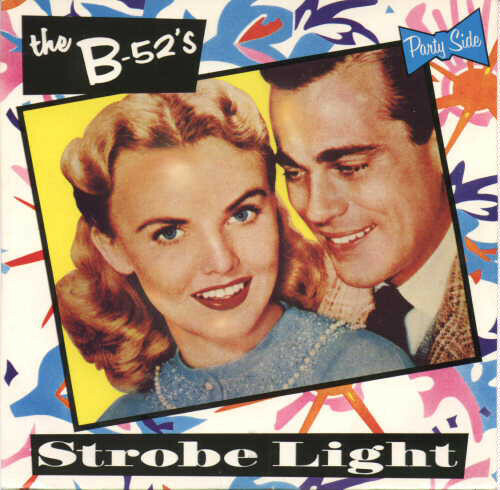 Easily my favorite B-52s album. I’d heard the first album at a plenitude of parties, and had liked it but not been won over. However, upon hearing “Strobe Light” on college radio when this was new, I knew I immediately had to go and obtain this slab ‘o fun. These days I have it on my mp3 player and often play it while working out. It’s rare that a sophomore album can be a companion piece to a band’s debut, but Wild Planet is just that. Taken as a whole, I think this is better than the first album. 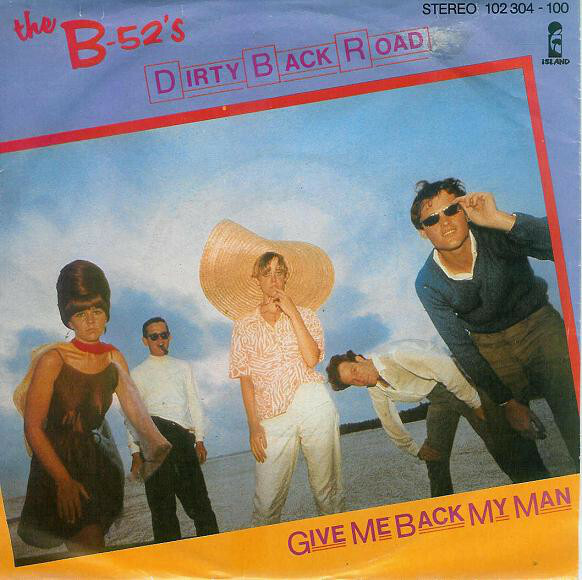 Recently, I have been listening to the Rock Lobster/52 Girls single on DB Recs a bunch and have been questioning whether I like these versions better than the ones on the first album. I’m certain I like the production of Wild Planet better than the debut. Having said all that, I love it all. Nicely written piece, PPM. Haven’t listened to this in years but you’ve inspired me to to do so. I’ll throw it on the turntable today! I saw them in concert on the Cosmic Thing tour. They played a round of smaller venues before the popularity of “Love Shack” catapulted them to playing larger arenas. I was fortunate to see them at the Sunrise Musical Theater in 1989…less than a year later they were back playing the Miami Arena. I remember Cindy W. delivering a fantastic vocal for “Give Me Back My Man.” I guess you can call this period their “second prime.” Ricky W. was gone, but the band was otherwise hitting on all cylinders and sounded amazing. Above all else, it was the most FUN I’ve had at any concert. To circle this back to Wild Planet, the songs from that album they played that night all sounded great (“Give Me Back…,” “Private Idaho,” “Strobe Light”). If they played others I don’t remember. zoo – I had a similar experience with the ever-expanding “Cosmic Thing” tour. I caught them at the 2-3K seater Bob Carr Auditorium in Orlando when “Channel Z” was a bubbling under hit; the first time I had seen them. Then a year later when they were at platinum level, they played the 18K Orlando Arena. I recall the show being even better in the huge venue! This may be my favorite B’s album of all, altho the debut is surely more influential. A wonderfully wacky band hitting its peak is really a lovely thing. Wish I could’ve seen them live when it came out, but my first time (twice, actually) was on the Whammy tour. Taffy – Heck, I lived even further south and they never hit the backwater of Florida until the “Cosmic Thing” tour practically a decade later! They probably got out of The South as fast as they could and were not eager to return. Though Fred did start a band with a pair of guys in Orlando years after I left. Actually they did slip down to Florida for the “Whammy” tour. I saw them in St. Pete at the Jai Alai Fronton. I remember it being only okay. Quite a few songs from that album as well as “Mesopotamia”. They were experimenting with backing drum tracks. Now that packed Orlando Arena show for “Cosmic Thing” was superb. 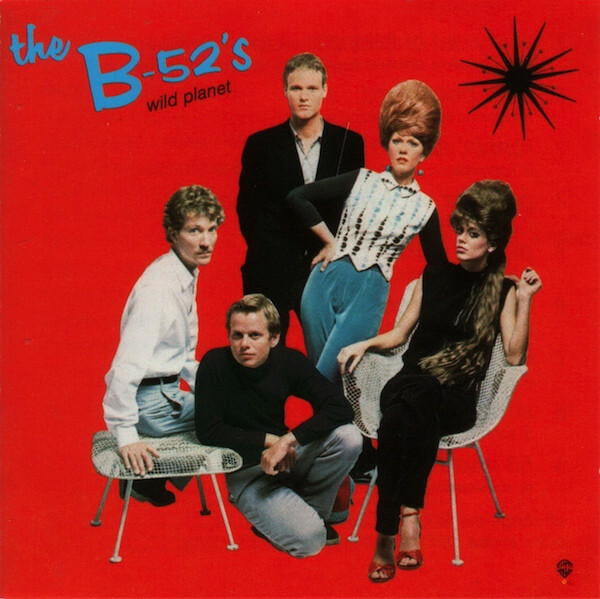 As someone who got to see a lot of the Athens bands just before they made it really big, I can say that it is right and proper to think of the two B-52s albums as a separated double album. In their early versions, all of those great songs sounded closer to the DB single recordings, with a few exceptions: “Devil in My Car” and “Give Me” and “Private Idaho” changed very little from their original conceptions to album versions, apart from some extra polish. I remember how much I appreciated the cleaner, somewhat more-disciplined versions found on the two Island albums (though I do of course have my original DB singles!) at the time, because one thing you have to remember about the B-52s is that there was a lot of drinking going on, and their late-70s performances had a very loud, very “jam session” vibe as one might have gotten from their first performances at parties. The energy they put out was enough to power the entire town; a different, but similar, power one got from the great punk-rock shows. Dancing was mandatory. Point of trivia: back in the day, my fave songs from there were “Dance This Mess Around,” “52 Girls,” “Rock Lobster,” and “Devil in My Car.” I didn’t like the slower-tempo ones like “Quiche” or “Give Me” as much, though now of course I adore them. chasinvictoria – As far as I knew, there was only a single DB Records single of “Rock Lobster” b/w “52 Girls” as I bought in one of my earliest visits to Hotlanta for around $30 for the new stock copy. You said “singles” so is there something else I don’t know about?